You could compare ratio trading to a lot of things in this world to get the complete comprehension of what it is and how it is used. Let’s say that you are an architect and you are planning on drawing the next skyscraper in New York. Even though I do not know the first thing about drawing blueprints or architecture in general, it is safe to say that we all know that architecture does not sit by his desk and willy silly draws something on a piece of paper and expects the builders. Or the people that read his or her “blueprint” to go: “ah yes I see what he is trying to draw here”. things that are guaranteed in this world besides death and taxes, math is one of them. 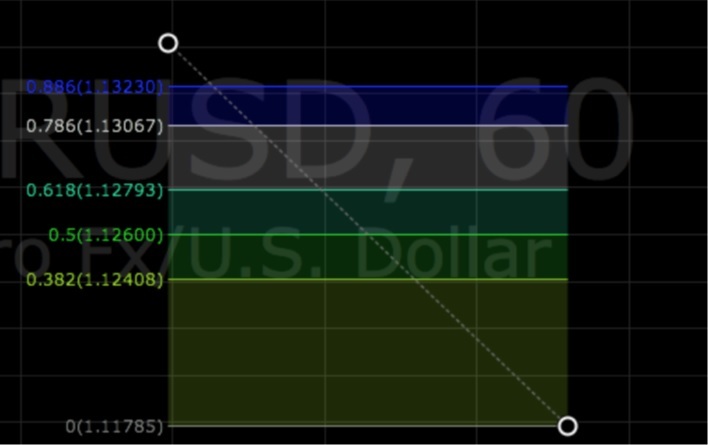 The statement above looks to be the answer to all the trading losses in the world, just use Fibonacci ratios, they say that they are guaranteed right? Wrong, Fibonacci is just another tool in our toolbox, it is indeed a mathematically build measuring stick and can be used very beneficial in trading combined with other things. In this lesson, we will go over how to use and draw Fibonacci Ratios. the next one in the sequence. So 2+3 = 5, 3+5 = 8, 5+8 = 13 and so on. Now it starts to become interesting! Pull out your calculator’s boys and girls! And if we take it the other way! Well, that can´t be coincident! You will have to relies upon that these ratios are not there because of trading. These numbers existed long before there was trading or charts, this is what the universe is built on, you can find this in stars, nature and even your ear, hands and fingers, if you start to measure it out, you will see. Now we will take a look at the numbers we use; they are split up into two categories, Primary and Secondary. They are then further broken up into Retracements and Extensions. 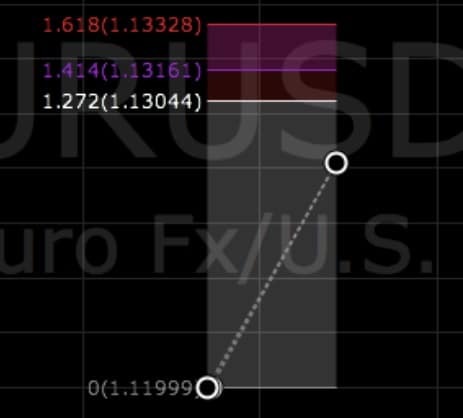 Let’s take a look at Fibonacci in action on a chart, you can see how to draw them in and see how they work. You might be asking yourselves well, that’s all fine and dandy in hinge sight but when stepping into the real deal, what does this mean? 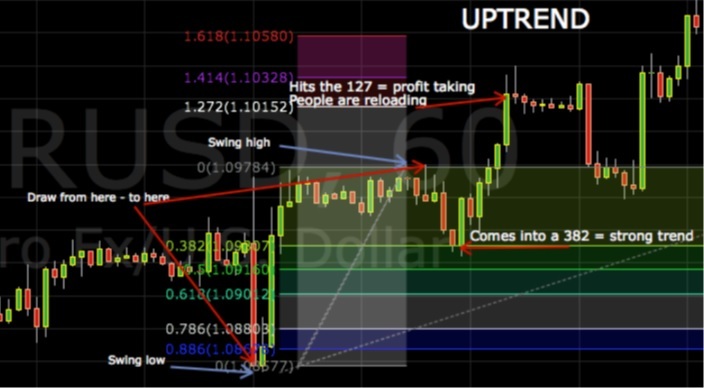 Retracement = where the market is likely to stop, pause after profit taking and or some selling/buying pressure. At last, I feel the need to encourage you not to take this as some magic tool and go out and start trading all the retracements and extensions you find. Remember Fibonacci is just another tool in our ever growing toolbox, it’s getting larger, and you are becoming better (I hope).